Jaflong Tandoori, 16 Ashburnham Road, Richmond have now been awarded the prestigious 2019 Good Food Award. Over the last twelve months we have evaluated customer feedback and these premises have demonstrated exceptional levels of food quality, service and value when compared to our industry benchmarks in their category. 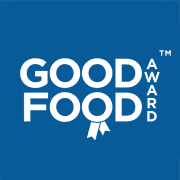 In recognition of this achievement they have been duly awarded the 2019 Good Food Award | Good Food Award Winners in 2013, 2014, 2018 & 2019. Owned and managed by the renowned Syed Bashar whose knowledge and experience in the curry industry spans over 25 years. Jaflong is proud to provide you food that is immediately served as it is prepared: fresh, fragrant and expertly spiced. We place the highest priority on using the finest ingredients; therefore we only use fresh spring lamb, chicken and seasonal vegetables. If there is a dish that is not on the menu, please don’t hesitate to ask as our chef would kindly take the pleasure in preparing it for you.